Valentine’s Day is coming up fast! This is one of our favorite times of year, as you have another wonderful reason to share your love with the people who matter most to you. What better way to let someone know how much you care than by sharing with them a wonderful, sweet treat that has all of the flavor that they want, but none of the processed sugar that they are trying to avoid. 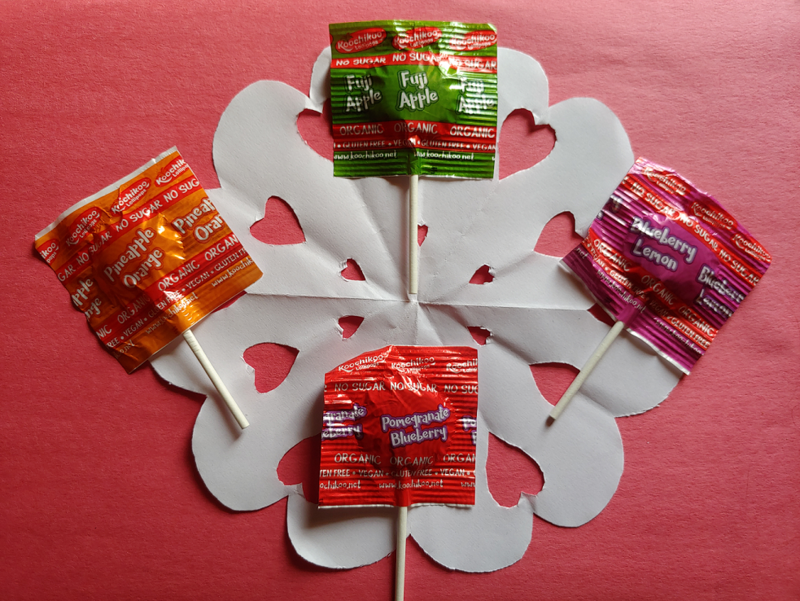 Koochikoo Organic No Sugar Added Lollipops are the perfect way show your love! Whether your loved ones are following a specific diet plan that requires that they avoid sugar and other processed foods, are just trying to cut back on their sugar intake, or simply love a delicious sweet treat now and then, Koochikoo Lollipops are the perfect addition to Valentine’s day. These yummy pops are low in calories, made from organic ingredients, and come in four delicious flavors for anyone to enjoy! It is surprising to many that a piece of candy can be sweet when it doesn’t contain sugar or artificial sweeteners. Koochikoo has accomplished this in their lollipops by using organic Tapioca fiber. Derived from the cassava root, this fiber has a natural sweetness that is about 60% of that of sugar, but with far fewer calories! These lollipops have a sweetness similar to that of a soft honey and only 10 calories per pop. Anyone can enjoy a treat without worrying about blowing their diet or dealing with the detrimental effects of processed or artificial sweeteners. It’s not often that you find a candy that provides an important benefit to your diet. With Koochikoo Organic No Sugar Added Lollipops, you get more than just a treat. The organic Tapoica fiber used to sweeten each lollipop also provides 5 grams of soluble fiber. This prebiotic fiber source can aid in the production of “good” bacteria in the gut and helps with digestion. Digestive system health is so important to our overall health and well-being, so these pops are a gift that keeps on giving! 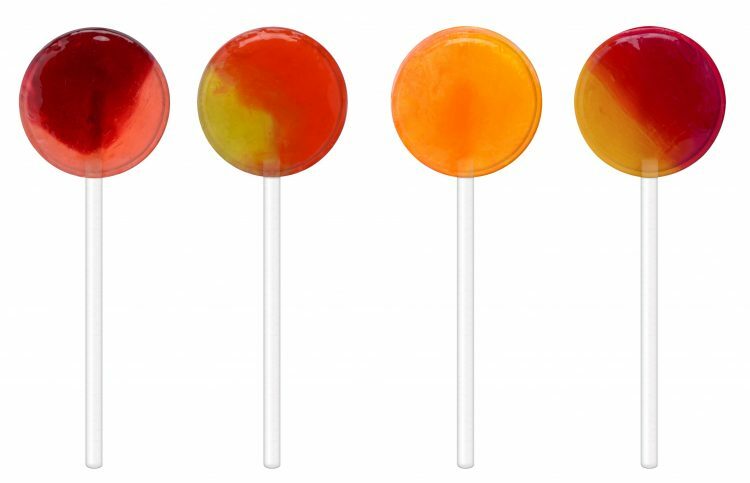 One of the best things about Koochikoo Organic No Sugar Added Lollipops is that there are four different Superfruit flavors that you can enjoy. No matter what your sweetheart loves best, they are sure to find a flavor they love. Choose from Fuji Apple, Blueberry Lemon, Pineapple Orange, or Pomegranate Blueberry. And what makes these lollipops an even better choice is that all of the flavorings and colors are natural! Want to share some of these wonderful, organic candies with the people you love most this Valentine’s day? Check the shelves at Marshall’s, HomeGoods, or TJ Maxx to pick some up or simply visit the Koochikoo Amazon Store and have them shipped right to your home! 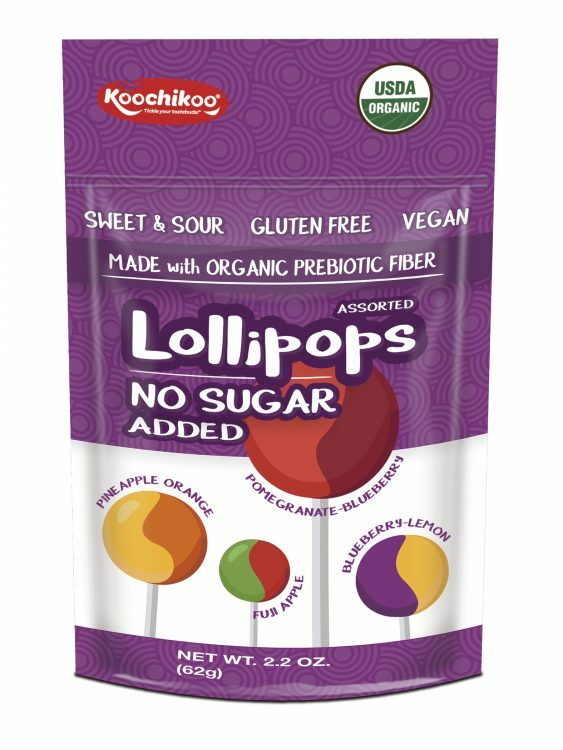 Use the code “lollipower” at Amazon checkout and you’ll save 10% off your order of Koochikoo Organic No Sugar Added Lollipops! What a great way to say “I love you”! I would never have thought that lollipops could be a good place to get fiber! That’s awesome! I don’t have kids but would definitely include these on their class Valentines if I did. Well, now I’ve seen everything! These look incredible! A great way for kids to get fiber and reduce sugar intake! I have never heard of this brand before but I love the flavor combinations they have. I like to give my granddaughter lollipops so I definitely need to check these out! I wish it will be available here soon! My niece loves lollipop and it’s so hard to stop her from wanting it. I wonder if these are available around here. They look good to try and a couple of those flavors are my favorite! So why choose us when looking for professional assistance on writing successful http://medicalschoolexamprofessor.com? The answer is obvious. We are the team that conceals no information from our customers. I have seen them at TJ Maxx but I never know if they’re worth trying out. Now I’ll get them.